Vehicle insurance is not only required by law, but it is your only financial safeguard when operating a machine that can damage, injure or even kill. For these reasons and many more, you would be wise to take insurance seriously– the most prudent consumers consider it an investment! 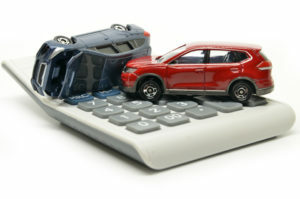 Researching and reviewing auto insurance policies is the only way to assure protection, so read on for Freeway Autobody’s advice on what to watch for when buying auto insurance. Think beyond your vehicle: insurance policies can protect everything from its contents to the four walls around it. Whether for personal or commercial use; for one or multiple drivers– your auto insurance premiums can often be reduced by combining coverage with other plans. Homes, businesses, recreation vehicles or properties, classic or seasonal vehicles and many other valuable items can also benefit from bundled insurance. One of the first things you will see when researching insurance coverage is that the market is dominated by two forces: independent brokers and major corporations. Huge banks and financiers make up the latter, but they also back group policies brought to them by insurance brokers. Brokers can offer better deals because they combine all of their clients into these group policies that qualify for better premiums. Agents are usually directly employed by an insurer, while brokers work as a go-between. When buying insurance, it can be helpful to keep in mind the old carpenters’ adage: “Measure twice, cut once.” After shopping around for the best auto insurance, read the entire policy closely and double-check that you are getting the best possible deal. Do not overlook fine print or footnotes that might reveal disadvantages, such as your preferred rate lasts only the first year or maybe your chosen policy does not cover certain types of damage. Finding a good insurer for your property can be stressful, especially for those who rely on their vehicle for essential transportation. The above tips are a good starting point but always use multiple, trusted sources to find the policy that best fits your needs. Feel free to contact or visit us at Freeway Auto Body today! Our friendly staff is always happy to offer their professional advice.